US-Mexico border cities coexist in a symbiotic relationship that benefits people on both sides. 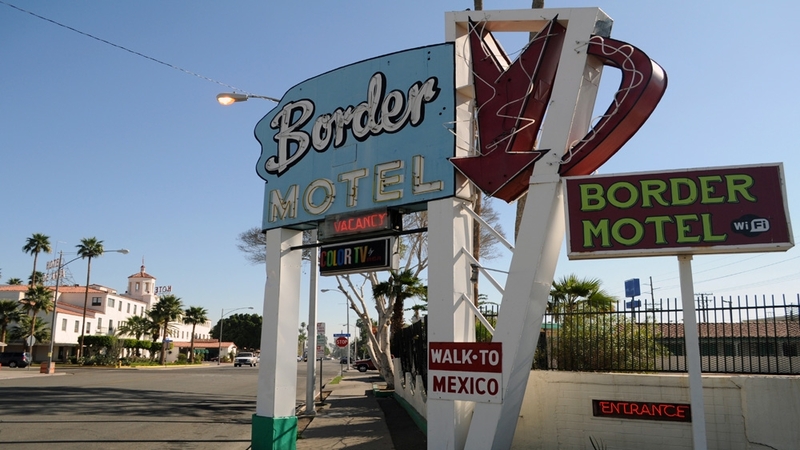 Mexicali, Mexico – Walking into this Mexican city from its American neighbour required no passport. A clanking metal turnstile and luggage scan were the only initial signs of crossing an international border. Returning to the United States, of course, presents a stark contrast with heightened security, immigration and customs enforcement. These twin cities are – as their names suggest – in part amalgamations of each other, joined in a sprawling metropolitan area straddling the state of Baja California in northwest Mexico and Imperial Valley in southeast California. Encircled by desert, the frontier fuels their existence as much as it divides them. But modern realities, most notably America’s post-9/11 security concerns and its continued appeal to unwanted migrants, complicate this relationship. Yet, frontier life persists and promises. “The border is an opportunity, a friend, a love, everything,” said Rudy Kim, 55, a Russian-born merchant running a convenience store in Calexico after a quarter century working in the region. Both cities, established at the turn of the 20th century, share history like siblings of estranged parents who never went their separate ways. Calexico began as a tent settlement of the Imperial Land Company, incorporated in 1901 to cultivate land west of the Colorado River. Initially water could only arrive via Mexicali, a fledgling irrigated colony to the south settled by, among others, cotton-growing Chinese migrants, explained Jason Oliver Chang, assistant professor of history and Asian American studies at the University of Connecticut. The city still has as many as 10,000 Chinese residents, Chang noted, and a plethora of Chinese restaurants – locals swear they are the best this side of Shanghai. An agricultural legacy has also endured on both sides. Labourers stream into Imperial Valley daily to work the land. The Mexican side produces asparagus and broccoli alongside mainstays such as cotton and wheat. Calexico, a mere 16 square kilometres, now serves mainly as a logistics and transportation hub. Visitors might think they are already in Mexico. Signs in Spanish, for abogados (lawyers) and farmacias (pharmacies), predominate. Ordering in English in restaurants is fruitless. “The joke in this town is you could move the fence five miles [ eight kilometres] and no one would notice,” said Armando Real, 33, a lifelong resident and councilman. Calexico’s population of 40,000 almost entirely Hispanic people is dwarfed by industrialised Mexicali, which has a population upwards of 700,000, large boulevards and a big-city feel. Despite the disparity in numbers the two sides shared interests and character still forge a sense of togetherness. Arturo Bojórquez, a journalist for a newspaper serving Imperial Valley, reports primarily from Mexicali. “My readers want to know what’s happening on both sides,” he said. 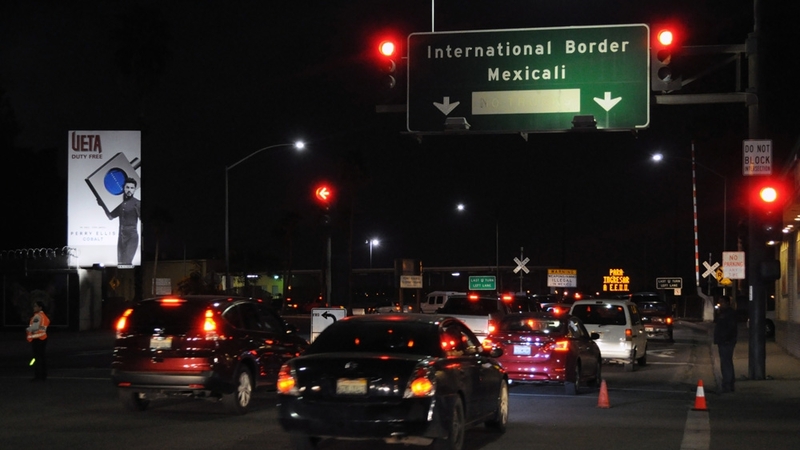 Border traffic is busier than ever. Mexico officials record about 25,000 crossings daily. Aurora, 64, who declined to give her last name, is a US green card holder who lives in Mexicali to be near her family and affordable housing. She regularly makes a 11km journey across the line to work at a Calexico hotel. Long lines form to enter the US, so much so that some locals ditch their cars and walk over the border. There are even mobile phone applications to get waiting times at the crossings. 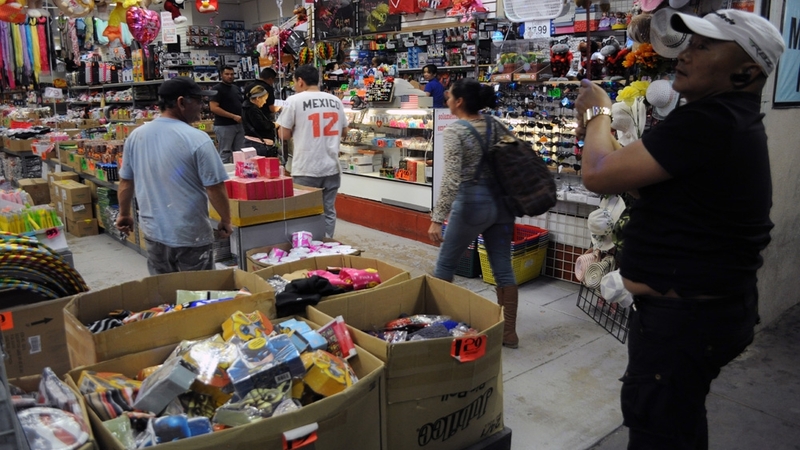 Although Mexicali has numerous retail outlets, from brand name stores to luxury malls, many residents still prefer to shop on the American side. “It’s not the same products and the prices are a little less,” said Gaby Wong Romero, 26, who crosses regularly to visit outlets such as Walmart. An imposing metal barrier, up to 7.5 metres high, splits the cities and continues into the desert. Migrants and traffickers try to go over, around and under it, Bojórquez said. 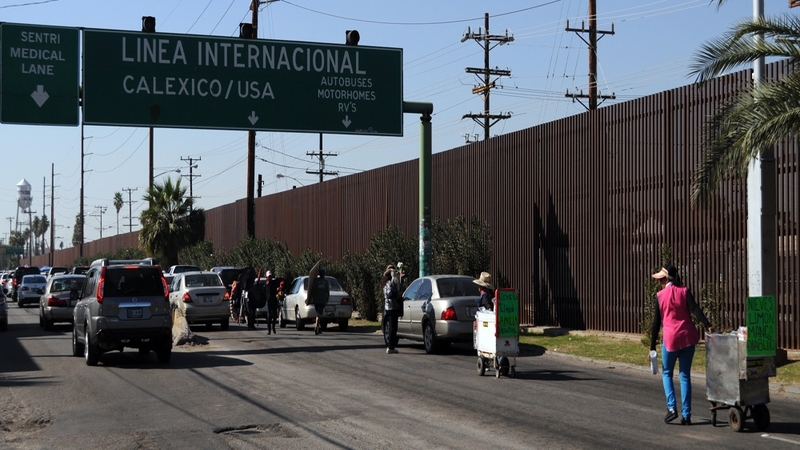 It can take eight hours to walk the 16 kilometres from the highway outside Mexicali to the border. Dangers range from extreme weather and kidnapping by smugglers to snakes and scorpions, said Sergio Molina, the local border agency director responsible for protecting migrants. Staff conduct daily patrols in search of those in trouble, leaving life-boxes containing water, food, medicine, thermal blankets and more, in 14 locations at 6.5-kilometre intervals, he said. “There’s a lot of risk for people trying to get to the US through the desert,” Molina added, noting they had found two bodies in the last four months. Both likely perished from the severe conditions. 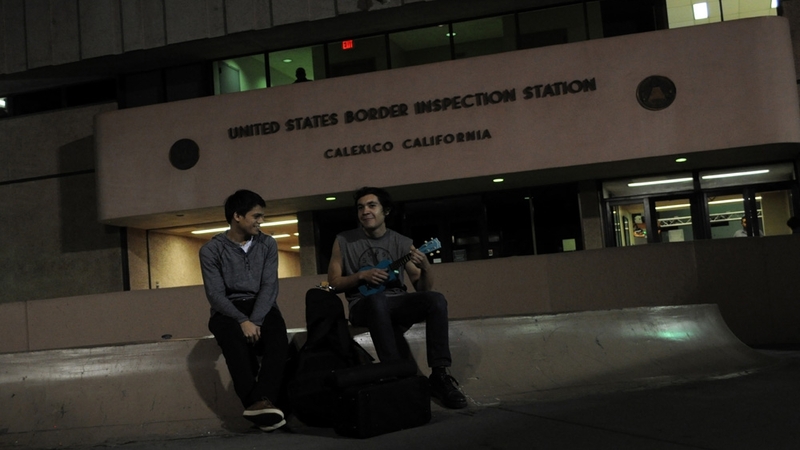 Those unsuccessful in crossing sometimes stay in Mexicali, waiting to try again or looking for work, he said. “It’s like an underground world but it’s a real problem for the city,” Molina added. Alex Gomez, 36, born in neighbouring Chihuahua but raised in Texas, was deported from the US following a 2004 gun possession conviction. He spent five years in federal prison for several illegal re-entries. Some people head the other way. 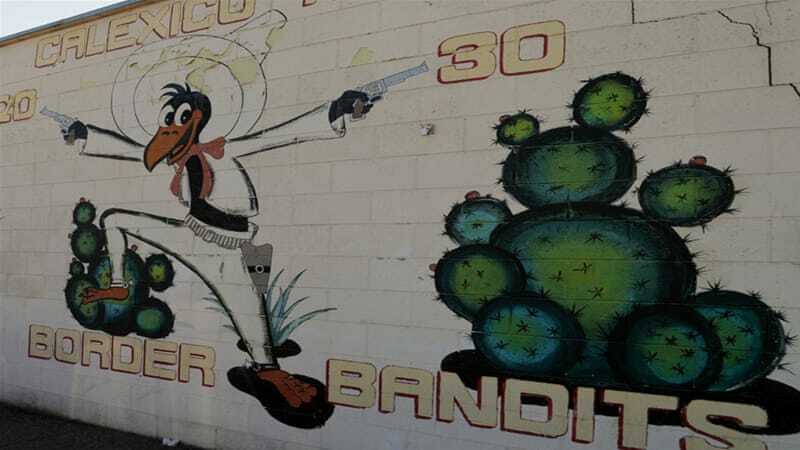 Although Mexicali prospered from US prohibition – Al Capone was a purported regular – it has never seen the tourism of Tijuana, its bigger western neighbour. Nonetheless, a smattering of strip clubs and reputation for nocturnal prostitution downtown attracts men from the US. “Strippers and whores,” replied Johnny, 52, an American sports coach, who only gave his first name, on what brought him to town, as he stood outside a nightclub. Other visitors come for more sedate purposes – affordable healthcare. The city offers a range of services, from cosmetic surgery to dental operations, at much lower prices than in the US. US insurers are increasingly covering treatment received in Mexico while some municipalities, such as Imperial Valley, are offering staff the option of Mexicali-centric insurance packages. Casey Parker, director of operations for Breg, an American medical devices company with a local factory, recently underwent minor surgery covered by his insurance. “It’s a win-win for both sides,” he said. Lanes for medical patients have been created at the border to allow swift re-entry to the US – alongside lanes for pre-verified, regular travellers. Officials now want to turn an area already concentrated with practitioners into a medical tourism zone, integrating hotels, restaurants and stores, said Carlos Córdova, executive director of the city’s industrial development commission. 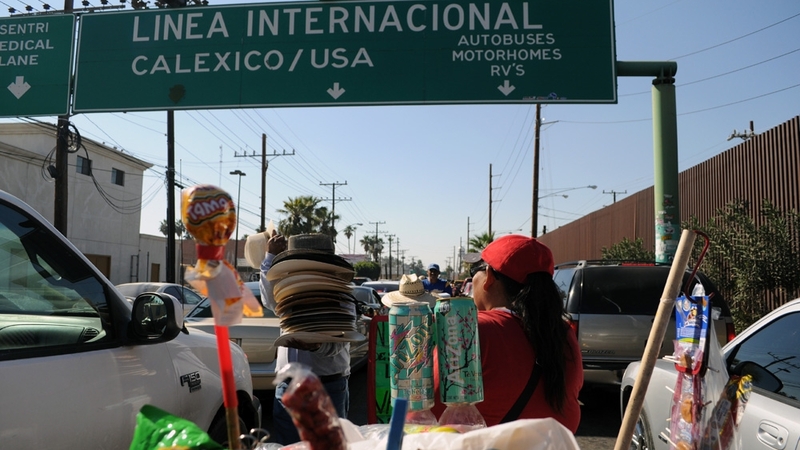 Mexicali remains at heart an industrial city, Córdova explained. 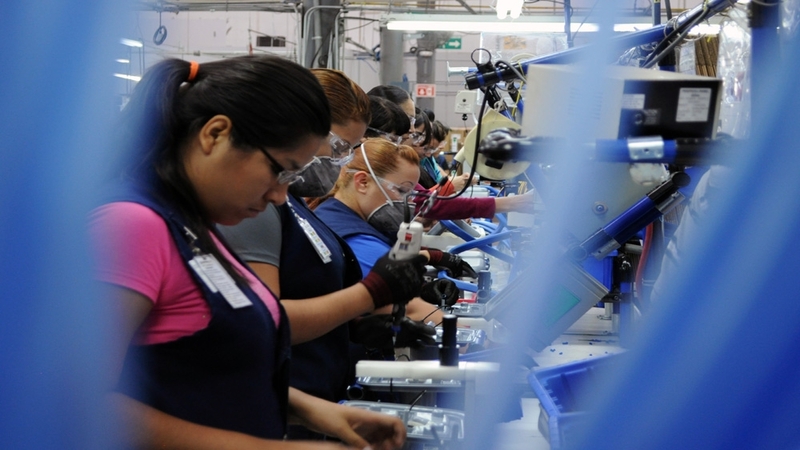 Since the NAFTA agreement of the 1990s, the city has capitalised on its comparatively cheap, skilled labour force to lure numerous foreign companies there. There are now at least 160 of these manufacturing operations, known as maquiladoras, assembling everything from plane parts to cars, he noted. “Geographic location is one of the main advantages,” Cordova added, alongside the city’s relative security. 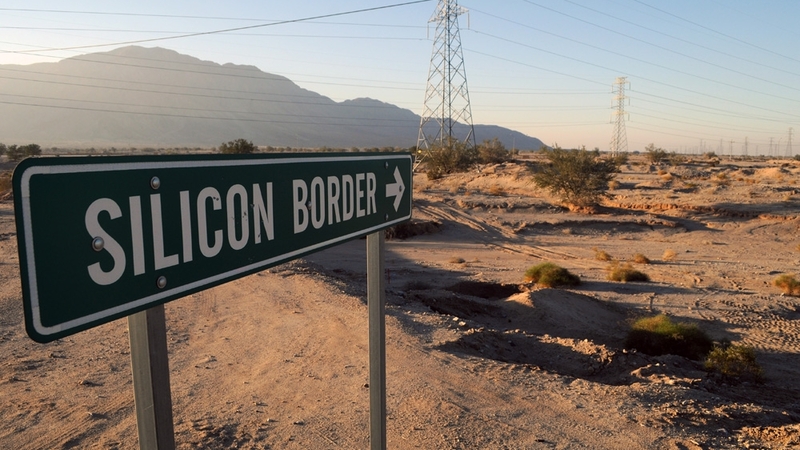 Mexicali’s ambitions – or pitfalls – can be found 16 kilometres west of town, at a planned industrial park known as Silicon Border. The much-hyped project draws eye-rolls from locals after remaining largely on the drawing board for close to a decade. A solitary security contractor guards what remains a flat, dusty expanse populated by electricity pylons. In an apparent move to spur development, the 1,822-hectare site is now being sold or leased in four phases owned by two different entities. Two sections – renamed the Centinela Industrial Park – are “shovel ready” for a “mega manufacturing user” following millions of dollars of new infrastructure, said Michael Condon, of Jones Lang LaSalle, a services firm involved in the project. He added the owners are hoping to attract an automaker, aerospace firm or other large manufacturer. Córdova, of the development commission, said a US border crossing and other transport links could follow if the project progresses. More than a century after plucky settlers and a land colonisation company gave unlikely rise to twin cities in the desert, their shared legacy lives on.